Merck has recently published Phase 3 clinical data showing that Cladribine tablets reduced the annualized rate of brain volume loss (BVL, brain atrophy) compared to placebo in patients with relapsing-remitting MS (RRMS). The study, “Reduced brain atrophy rates are associated with lower risk of disability progression in patients with relapsing multiple sclerosis treated with cladribine tablets,” which appeared in the Multiple Sclerosis Journal, reports the results of a post hoc analysis of the Phase 3 CLARITY study. CLARITY was a randomized, double-blind, three-arm, placebo-controlled, multi-center Phase 3 clinical trial (NCT00213135) that evaluated the safety and efficacy of oral Cladribine in 1,326 RRMS patients. The primary endpoint was the assessment of the annualized rate of relapse (ARR) at 96 weeks, and key secondary endpoints included the number of relapse-free patients and the sustained progression of disability. In a study previously published in The New England Journal of Medicine, Merck reported that all endpoints were met. Cladribine treatment significantly reduced ARR, the risk of disability progression and MRI measures of disease activity at 96 weeks. In the new study, Merck reported data after two years of Cladribine treatment in short-duration courses. Brain atrophy analysis assessed the effectiveness of Cladribine tablets on BVL and the association of BVL with disability progression in 1,025 relapsing MS (RMS) patients from the CLARITY study. Results revealed that, compared with placebo, the mean percentage of BVL per year was significantly lower in patients treated with Cladribine tablets 3.5 mg/kg and 5.25 mg/kg (–0.70% vs. –0.56% and –0.57%, respectively). The risk of disability progression was also lower in treated patients treated compared to placebo. Patients with lower rates of brain atrophy were also likely to remain free of disability progression. In September 2016, Merck reported data from the two-year CLARITY EXTENSION (NCT00641537) trial, in which RMS patients in the original trial’s placebo arm were switched to Cladribine treatment. Results demonstrated that these patients had significantly reduced ARR and were more likely to be relapse-free at the end of the extension phase. ARR was also maintained in patients who had received Cladribine tablets during the CLARITY trial and moved to placebo for the extension study. 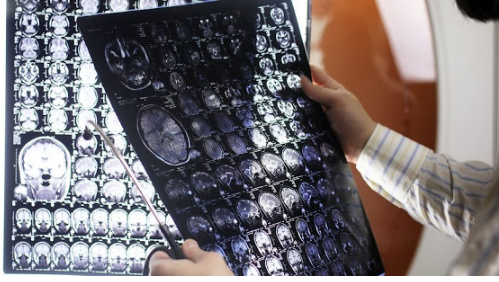 “Evidence shows that brain atrophy in general accumulates throughout the course of multiple sclerosis and is associated with disability progression. This analysis is important because it confirms the link between reduced brain atrophy and reduced disability progression found in the CLARITY study,” Nicola De Stefano, the publication’s lead author and an associate professor of neurology at Italy’s University of Siena, said in a press release. “These findings reinforce and expand on the consistent and positive effect of Cladribine tablets in improving clinically relevant outcomes, such as reducing relapse rate and disability, and further our resolve to make this investigational therapy available for patients living with RRMS,” said Steven Hildemann, MD, PhD, Merck’s global chief medical officer and head of global medical affairs and safety. Cladribine is an oral small molecule that selectively and periodically targets immune lymphocytes, which are believed to have a central role in the processes that advance MS.
Cladribine was also evaluated in the ORACLE-MS study (NCT00725985), with results showing that patients with a first demyelinating event who were given Cladribine tablets saw their risk of disease progression to clinically definite MS significantly reduced compared to placebo.